Symbols are a powerful medium of communication, conveying instantaneous information in an easily accessible way. Every organization – be it governments, religions, schools, hospitals, corporations, etc. – uses symbols to represent itself. We are therefore constantly surrounded by symbols and have become accustomed to quickly grasp what they stand for without much thinking. Just think of The Red Cross, McDonald’s, or Starbucks, and you can probably immediately see their logo in your mind’s eye. Branding and repeated exposure to symbols accustoms us to them, and can impact our choices (for instance choosing to go with a reputable brand because of the logo displayed on the product as opposed to a generic product counterpart). Many symbols throughout history have their roots in a universal language of sorts that conveys principles found in the universe. For example, symbols representing the Sun or various other stars and constellations, or sacred geometry symbols (such as the flower of life or the golden ratio) are common to ancient traditions and peoples across the world. Many of these symbols are esoteric in nature; their meaning being obscured to the masses and only accessible to those who have the correct level of understanding to grasp it. Those who don’t understand the hidden nature of certain symbols can perceive them as being mundane, nonsensical, or they can even be entirely misunderstood or misused. Understanding the meaning of certain esoteric symbols goes hand-in-hand with obtaining knowledge of the esoteric. Esoteric knowledge is the hidden knowledge of life, knowledge that could open up our perception to the greater truth and reality behind our existence. But herein lies the problem – society nowadays shuns most things that are esoteric in nature. 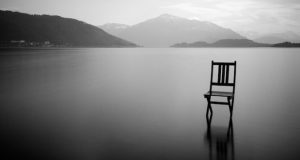 It is commonly taught to be wary of alternative religion, spiritual groups, and “cults.” It is also commonly taught to doubt the nature of spirituality and spiritual principles, as the focus is drawn more towards materialism and material philosophies. The media, schools, work environments, and social behaviors are in fact frequently mobilized to ridicule anything that is esoteric or that goes against the grain of the mainstream. Esoteric knowledge, when used wisely, can be tremendously beneficial. It is the knowledge of life and of the forces governing life. But just as everything in nature has its opposite, so there are also opposites within esotericism. The positive side of esotericism works towards the light and towards goodness in the world. It aims to help humanity reach its true spiritual potential, help to open up our perception to our greater destiny and capabilities as human beings. There is, however, also a dark side to esotericism, a side that works towards the exact opposite of this, fighting to keep humanity rooted in ignorance and low states and ways of being. It works towards keeping people enslaved by their desires and blinded to their true potential. The dark side of esotericism works to bring humanity down, while the forces of light work towards uplifting it. This struggle is frequently referenced in ancient folklore, mythology, and religions through the ages. Both sides of esoteric knowledge are extremely powerful, and aligning yourself with one side or the other can have great ramifications. Placing oneself under the influences of the dark side means subjecting oneself to these darker influences and (willingly or unwillingly) becoming a participant in this process of being dragged down and enslaved by pleasures and negativity, blinded to reality, and limited in the ability to surpass this low way of being. 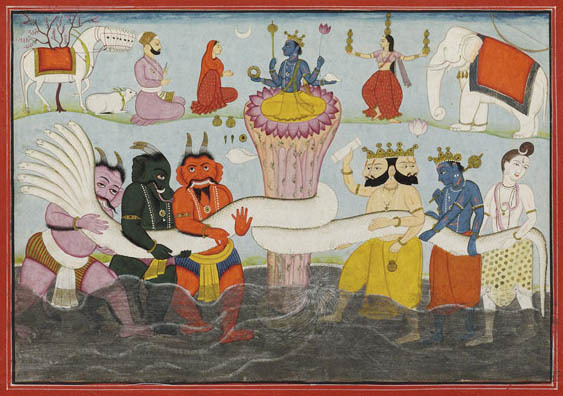 A c. 1760s illustration of The Churning of the Milky Ocean, a famous tale from the Hindu epic the Mahabharata. Depicted are the devas (gods, upholders of cosmic order; light) and the asuras (demons, disrupters of cosmic order; darkness) churning the Cosmic Ocean in a “tug-of-war” in order to obtain Amrita, the nectar of immortality. Paradoxically, those in power, in particular those controlling the media and the entertainment industry seem to be rather aware of esoteric symbols. But disturbingly, symbols that have once stood for goodness and light are used by those controlling mass media, entertainment, and fashion, in an inverted manner, making them therefore stand for the exact opposite: to control and enslave. For example, the esoteric symbol of a star pointing upwards (think of Da Vinci’s Vitruvian Man) represents the awakened man, while a star pointing downwards represents the opposite of that and is associated with diabolical forces. Inverted symbols, as well as symbols that represent dark forces or black rituals, are sadly used all around us in a repeated, and apparently deliberate manner to convey a message and to put people under the very influences these symbols draw their forces from. This in turn can either make these misunderstood symbols go viral, or it can have the effect of making people suspicious of all symbols and in the process turn against anything that has esoteric connotations, be they good or bad. Neither outcome is favorable, and the best course of action is to be knowledgeable about the visual information we are exposed to on a regular basis and what the agenda behind it is. Taking a look at the fashion industry is an interesting example of this. Let’s look at one of the most popular brands of clothing in North America: Urban Outfitters (UO). UO’s target market is teenagers and young adults. Their style frequently pushes the boundaries with clothing that is trendy in the hipster community and that is often provocative. Currently (winter-spring 2014) their website features a wide selection of graphic tees. Surprisingly, a vast number of these T-shirts depict esoteric symbols, but many of which are inverted and are referencing sinister things, which can have the effect of invoking negative influences, even if this may not be the wearer’s or designer’s conscious intention. 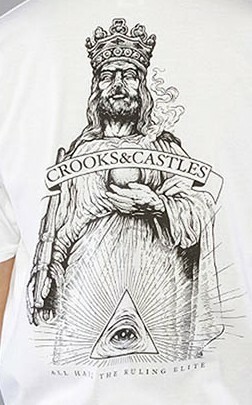 Many of their tees also contain images of death, skulls, and decay, as well as other disturbing subliminal messages. Their collection is actually pretty tame, all things considered, but it still goes to show that the use of these symbols in mainstream fashion brands is pretty widespread and concerning. Rather peculiar that this is so popular, isn’t it? The above collection does not even scratch the surface of all the available styles and designs of the pyramid and the all-seeing eye clothing. These are T-shirts sold in nearly all the major online and physical retailers around the world. The above images contain products sold on: Ebay, Etsy, American Eagle, Urban Outfitters, Charlotte Russe, Coma Fashion, Keep, ModCloth, Ferus New York, Rakuten, PacSun, Nasty Gal, Pink Ice, Singer 22, Svpply, tillys, Zappos, Zazzle, and Zumies. So is it a coincidence that they’ve all chosen to feature this symbol or is there more to it? Notice the tiny upside down pyramid with the eye hiding at the very top? And the demon right below it? You may also notice several more vague images resembling demonic faces and the goat’s head, a symbol often used as synonymous with an upside-down pentagram and Satan. Why are these symbols there? Why do they appear to be hidden in plain sight? And while many brands promote the use of inverted esoteric symbols and related subliminal messages in a subdued and underlying way, some brands are much more forward and upfront about it, and appear to in fact glorify the use of these symbols and what’s behind them. What Is Behind the Use of Inverted Esoteric Symbols in the Fashion Industry? So what exactly is inspiring these designs? Why are the entertainment and fashion industries, particularly in the form of clothing being promoted to teenagers and the 20 or 30-somethings demographic, so fixated on using powerful esoteric symbols, but inverted? Is it all a coincidence? No doubt many people become influenced to feel that these symbols are cool and therefore unknowingly pick them up to include in their clothing line or in their closet, and then unconsciously help to spread their use because it is ‘hip’. But how were these arcane symbols introduced into popular culture to become hip in the first place? To think that the consistent use of inverted esoteric symbols as well as perverted religious depictions across so many popular shopping destinations is all just a big coincidence would be a bit naïve. 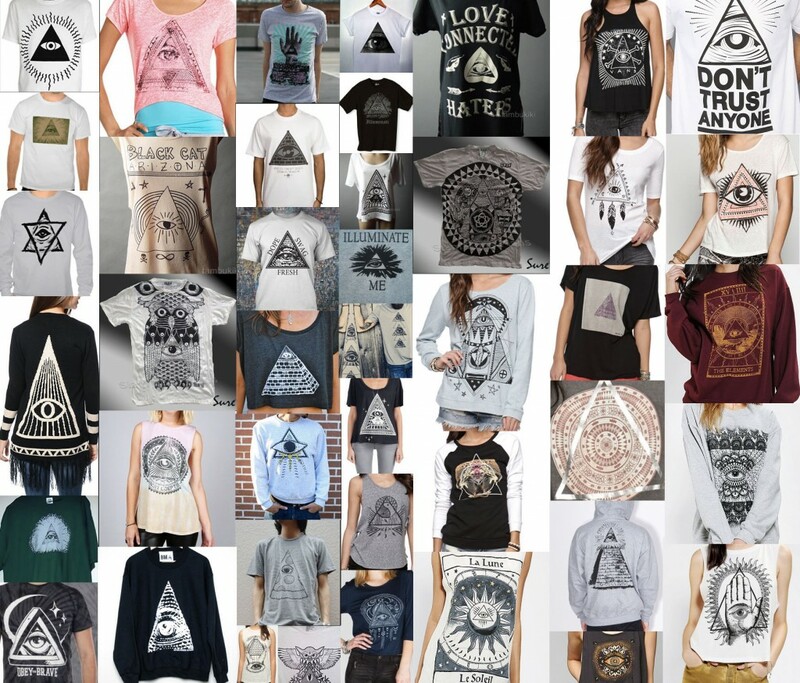 What are the probabilities of almost every popular online clothing store promoting the all-seeing eye symbol by chance? One also has to wonder the purpose of this saturation of powerful symbols amongst high fashion and mundane day-to-day clothing? Is it perhaps to accustom people to these images? Is it meant to make them commonplace? Nothing out of the ordinary, or “no conspiracy here!” type of commonplace? Or, if the symbols used are indeed powerful, as they have been used for millennia to represent certain influences or to attract certain forces with their use, what does that mean when we don an article of clothing featuring such symbols on, especially when they are inverted from their original positive meaning? With this in mind, it’s important to be educated and vigilant about what you wear and to understand the meaning of these symbols that have now become so widespread in the fashion industry and in consumer products, so that you don’t unwittingly attract and promote negative influences in your life and become a participant in the apparent agenda that is promoting the use of these inverted symbols to unsuspecting shoppers. Jenny Belikov is a writer and researcher with a keen interest in past and current events affecting human consciousness and spiritual practice. She's been practising spirituality for the past ten years and is currently deeply engaged in searching through ancient sacred texts and cultures to uncover alternative ways to approach spirituality. Unfortunately the use of inverted symbols haven’t stopped with fashion or the music/entertainment industries. It’s also made it’s way to the food industry and there is even talk about certain pizza and ice cream restaurant chains in North America that may be used as a front for other perverse purposes that are tied to these inverted symbols, often incorporating them right in their websites, logos and other forms of marketing. I recently came across a popular Toronto-based restaurant chain that blatantly advertises upside down crosses, lightning rods, using Jesus’ name in a totally inappropriate way and using children in their ads in an equally disturbing way and so forth. It’s very difficult to see how clueless people are to all of this when it’s in plain sight, thinking it’s just another “edgy” hipster place to go to. how much further have they left to fall? Thank you for enlightening us without being preachy. I found another fashion brand pretty similar to those above : http://creaturecraft.co has all kinds of that occult symbolism garb, pretty interesting if nothing else. Yes, wow — a pretty blatant one, Jillian. Mmmm, satanic coffee. Just the pickup we all need. How bizarre! Yeah, strange. I think it’s manipulation, these symbols in fashion. Fashion should not be globally trying to enculturate the masses by putting such esoteric symbols – that can easily misinterpreted – on clothing. When you’re “looking cool” with your evil symbols, whilst it’s right in front of your face, whilst I’m supposed to be a conspiracy theorist, i can only assume you’re some kind of f*****g idiot. Really. I agree. Realistically, are these kids saying they follow a bad God, or are they just trying to be ‘cool’. What is ‘cool’ these days? I wonder if what these people think is cool is violence, death, decay, and dark enlightenment. This it not a good way to start off a life unless one wants to be a shady and deceitful person. I know from myself anyway that when you’re in a dark place horrible things are what’s beautiful and true beauty seems like the insulting lie. I have definitely noticed the skulls. Very true Jocko. I remember when I was a teenager, the black, sexi outfit on a woman for example was indicating she was a “free thinker and a self-confident woman”, whereas the more modest, natural clothing (and behavior) was seen as boring and “churchy”. It took many years, tough life lessons and finding the right spiritual information to come out of that mindset. Seeing whats out there today, I really feel for the young generation nowadays, as they are bombarded with these evil things wherever they go and its become an accepted part of the life-style. Yeah, they think beauty, possibly, is the color black, torture pics of faces like the skulls, etc., and basically, an overall stinky attitude that caused them not to shower, take care of themselves, indulge in drug usage, etc. The ones who wear these are saying they want a life on the left hand path, and if they go there, I feel sorry for them. In other words, the symbols glamorize evil. They are destruction bound, these symbols. Wowwww, those are some really nasty outfits! The “skull candles” are also very innovative… It seems that some dark forces had a banquet designing all that stuff. I went to the mall yesterday where I live and went inside Spencer Gifts and seen several items including clothing promoting Ouija Boards, also an “Adventure Time” (cartoon for kids) T-shirt promoting the all seeing eye. I see it all the time in every store I go in, Including Wal-mart and khol’s. Very well laid out article Jenny. I’ve also been observing the phenomena and agree with the things you mentioned. Seeing thousands of different people everyday at work I can confirm that (unfortunately) these symbols are very widespread and popular. It’s interesting, like others have mentioned as well, getting that certain feeling from a shirt before even properly seeing what’s on it. The all seeing eye’s are quite popular (both obvious and more hidden), the t-shirts with a symbolic owls are common as well, and many items of clothing have upside down stars on them (both intentionally and unintentionally.) Plenty of shirts also have writing that is somehow inverted. One time I saw a t-shirt that simply had ‘LORD’ written backwards, and to be honest it didn’t feel right. Most ‘in fashion’ right now seem to be the skulls though. Not only teens wear them, but kids as well, and even the ‘hip’ parents. 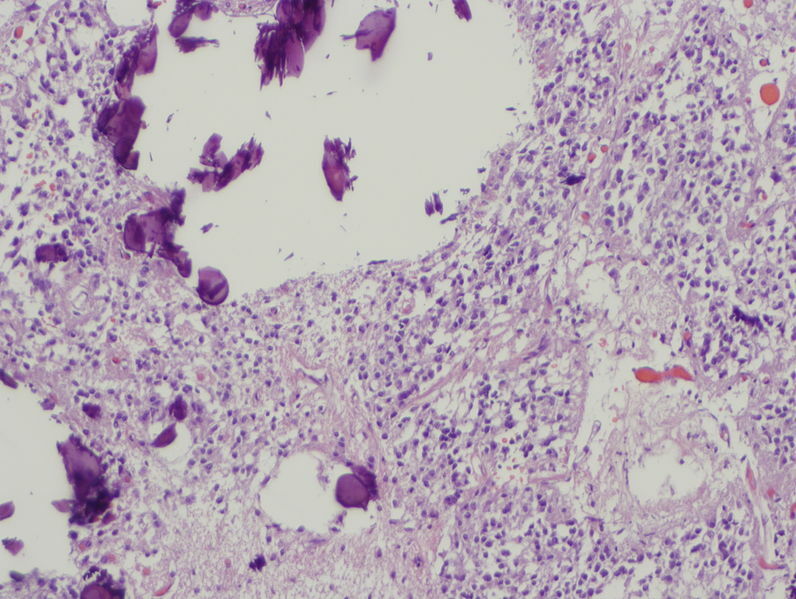 Often it’s not just a skull, but a flock of birds or bunch of flowers that make up the shape of the skull. I’ve been trying to observe and find out why people would want to wear these things. There obviously seems to be an ignorance to their deeper meaning and an ignorance of the negative influence they can have. It also seems ‘cool’ to be ‘bad’, it’s interesting too to see what lies behind that psychologically. In one case I saw a woman with a shirt that felt particularly unpleasant. It was a flower of life pattern with an open lotus flower on top, and seamlessly being born out from the middle was a dark skull. I couldn’t resist from asking her: what is that you have on your T-shirt? She wasn’t able to explain a lot about what it meant, but said it was a custom design that a tattoo artist designed and that she also had it tattooed on her leg….. This woman didn’t seem like the type of person to have tattoo’s at all. It seemed to me that she thought it was cool to ‘dare to be bad’, and this stemmed from her wish to be ‘an individual/different/special.’ While she was talking she was acting as if I had complemented her, and her fried said ‘so cool’ about the tattoo. To me it’s kind of reverse logic or ironic that people think they are ‘different’ and cooler than others by wearing symbols like this, but in reality by wearing these shirts only being one of the unbeknownst agents of the influence of dark forces. And sometimes when seeing a person wearing a t-shirt, with the all-seeing eye and pyramid, it’s almost as if the symbol is conveying this….. Thanks for the article. When going shopping with my kids, they especially like shirts and shoes with skulls. I never let them buy those clothes of course. But they were all ‘happy’ when seeing those clothes, it’s like they were under a spell. It’s sad how those symbols in clothing draws people into buying them. It’s pretty bad when you see members of your own family walking around wearing those awful symbols without realizing the underlying impact they have on them and others around them. A brand of clothing I find really disturbing is the OBEY line where that word is advertised on everything from hats to t-shirts to jackets. Every time I see someone wearing it, it makes my stomach turn. I can’t understand how anyone would want to promote that kind of image of themselves, as if they think it’s cool to be enslaved and dominated by some sinister outside force. This is an excellent article. One thing that many have pointed out is the “MONSTER” energy drink, which uses the Hebrew Vav, which is 6, 3 times, hence 666. This is often combined with FOX racing, which each letter is Kabbalistically 6, so 666. What are the odds these logos would be combined? Yet they indeed are and you see many people with hoodies, caps and bumper stickers with such logos on them. Even companies like Panera Bread seem to have the 666 written on their logo(on the bread) and Stop and Shop’s new logo reminds me of 666 in an vague way. The problem with this is that it can be subtle and elusive, as though telling those conscious enough, while simultaneously masking it in coincidence and imperceptibility for most. Thank you for this excellent article which is written with more consciousness than most of its kind. You may also notice that Hardees star symbol on the sides of the buildings is purposely upside down and the one on the sign is tilted. Also, the new Taco Bell symbol has a 6 under the bell inside the circle along with the yellow circle which makes and eye and what should be a reflection shape looks to be as a reptilian pupil for the eye. Taco bell has that logo on the left, front and right sides of their building not counting the sign, so this makes 666. There are more, but these two are good examples. By the way these symbols are not just in clothes on your kids. You should look into what your children watch. Do some research and you will CLEARLY see all of this same symbolism being put in Disney things, Spongebob Squarepants, the simpsons, family guy, american dad, Adventure time, Dora the Explorer, etc. It goes on and on. Mtv’s main station in Canada has a Freemason symbol on the building. RESEARCH RESEARCH RESEARCH…………. Thanks for breaking this down Jenny, it is just bizarre how much these symbols are appearing these days in popular culture. Is it just a fashion trend or something more? It really does seem like there’s some sort of overall agenda out there. Are they trying introduce some sort of NWO religion with these symbols everywhere in fashion, company logos, on buildings etc. There is so much to this that a series of articles has been planned for this site to go through various symbols such as the all seeing eye, the pentagram and the cross and trace their original positive use through to their inversion in modern culture. The first one exposing the all seeing eye is coming soon. Cool, David. Look forward to it! Really interesting article Jenny. I was working with someone recently and they were wearing a t-shirt with inverted pentagram and I am pretty sure that they had no clue what it meant. I wondered at the time how this person could be attracting negative thing to themselves just by wearing this t-shirt. And as we can see from your article this is happening all across the board. This is quiet sad as it seems to me that our own ignorance of these different symbols is used against us. I really hope more people can become more conscious of these matters which I turn will help them to make more educated decision . Thanks for bringing this out into the light Jenny. In recent days I’ve noticed kids wearing T- shirts with inverted symbols but until your article I had no idea that it had spread so widely all over the planet. I decided to do a google search and typed in “inverted esoteric symbols”. Not good, the page goes on and on with dark symbols. Thanks for the link, John. 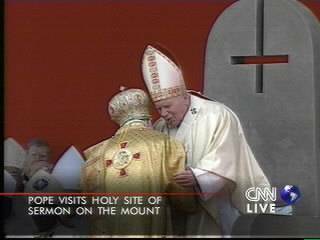 From all the images in your link I was really struck by this rather odd image of the pope with an inverted cross. There is so much more with the pope and occultism and esoteric symbols, you should invest your time in some research on the matter. You will be speechless. It is crazy. When I was 14 my father bought me a t-shirt of a pretty ‘cool’ band that had a large upside down pentagram on it for a trip I was making with some friends. I wasn’t very keen on it (or the band 🙂 but I was traveling for a month, so I took it with me to be polite and just to have a good variety of clothes with me. I still remember when I first put it on having an almost ill feeling suddenly and I was very aware of the shape of the pentagram, almost feeling it like a mild form of pain on my chest. I covered it up with a jumper but still felt aware of the symbol. I think these symbols definitely tie in with other forces, which I guess makes sense seeing how they’re linked with principles of life. This has an influence on people’s perception though and the fact that this is being pushed onto people without them being aware of the meaning behind what they wear is what’s really dark. It’s almost like making people wear a uniform for something they don’t even know about, let alone agree with, which seems a little off to say the least. Thanks for sharing, Nathan — interesting experience. Good point that you made there about the forces tying in with the principles of life! because it’s like the designers of the clothes know that and somehow want these negative forces brought into our physical reality, Imagine if the dark forces are allowed to ban all the symbols of light but yet somehow all these dark symbols are allowed to spread through cultures in this fashion! The only force will be a negative one acting of humanity, how scarey is that but when you look at it that’s what’s happening and people don’t even realize what’s happening. It just goes to show that there are forces acting on humanity whether we realize it or even if we believe it or not as why would people design this type of clothing with out a purpose. Those etched symbols are very interesting, Shane. I’ve seen some before, though not this particular one. Yes, this is interesting Shane. When I was studying for my English Language State Exam a few months ago, I got a chance to read about how Washington DC was planned, by a Freemason architect, with the inclusion of many esoteric symbols in it, positioning things carefully, etc. I have no idea in what way they positioned it and if it is for good or bad, but it is clear to me that for example Washington monument is the same phallic structure like the old Egyptian obelisks. The shape of Pentagon also raises some questions… I can only guess that they are using the power of these symbols for their own ends. It is astonishing how many government structures are built with sacred geometry and various symbols in mind. Not sure if you’ve seen this yet, but there is a pretty detailed examination of Washington DC’s symbols and many others around the world in this documentary (warning: super long! May not be suitable for busy students 😉 ): Secrets in Plain Sight. Thanks Lucia. There are so many interesting buildings like that. It’s particularly interesting that so many religious structures are filled with these symbols… Pillar at St John the Divine Cathedral is an interesting example and so is Temple Square in Utah (The Church of the Latter Day Saints Headquarters). If you do a google image search for those two, particularly for esoteric symbols or hidden symbols it’s incredible what you’ll find. I found it especially weird that the LDS church is filled with tons of inverted pentagrams, including a giant colourful one in the kids playing area. Interesting Shane. We drove past that listening station en-route to Ningaloo Reef. You can’t miss it as it has a bunch of huge radio-like towers in some kind of formation. When we pulled over to film a family of Emus who happened to be hanging around out the front, immediately some plain clothes security officers drove out of the complex and started casing us. Weird place. wow, that’s crazy stuff Matthew, they chased you! Just to clarify, no one actually chased us. It’s near a popular remote tourist area, the Ningaloo Reef and Cape Range National Park. People go there for camping, snorkeling and scuba diving, and to swim with whale sharks. The road from the nearest town, Exmouth, to the national park goes past the northern boundary of the station fence. So tourists drive past there all the time. We happened to stop along the road outside becasue we saw these Emus walking beside the road. As soon as we slowed down while passing the station a plain clothes AFP officer drove out of the compound toward us. When he saw us talking to the Emus, I think he realised we were just tourists and we weren’t a threat, and he just kept an eye on us from a distance (casing not chasing). So its under some tight security, but they are not chasing tourists away! Its the most powerful transmission station in the Southern Hemisphere, enough said. Im surprised u can still zoom on gmaps, these normally get censored once the population know. The next thing is HAARP in Aus somewhere, but I am not up to speed with that. I hope the ETs protect the planet from that! Tesla tapped into physics that could split the earth in half, scary stuff in the hands of psychopaths. This article is just spot on. These forces are masquerading right in front of our eyes, and yet majority of people is so totally blind to it. I guess the main reason why they were able to go so far is the apparent lack of esoteric knowledge among public, so most people think all these pictures are just “some sort of fun”. 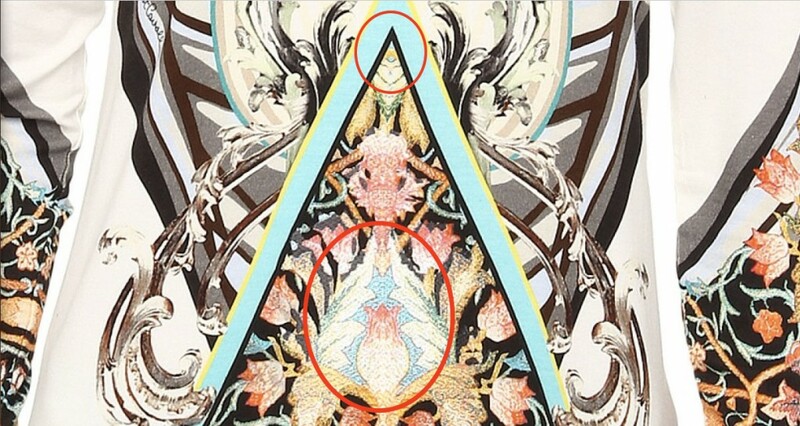 I also find it interesting how sometimes there would be this weird pattern somewhere – on a t-shirt, or a fabric, etc…, and you can’t see any particular symbol on the first sight, but when you study the shapes closer, you reveal these sinister forms. These items of clothing irradiate that weird kind of energy nonetheless, even though you can’t see the actual shape immediately, so I think it is very important for us to listen to our intuition when shopping. when you mentioned the comment “some sort of fun” I remember a time when I was working with a young guy who didn’t say much, listened to music on his walk-man while working all the time and wore clothing that had symbols like the ones mentioned in the article and I said to him one day when he was wearing a hooded jumper with the pyramid and the all seeing eye, do you know what that symbol means that’s on your jumper? He looked at me and smiled no! but the jumper keeps me warm, he seemed happy in his vain which was a little odd at times and had a strange attitude which is hard to explain. It’s interesting what you say about the feeling these patterns/symbols can generate, even if they are not immediately visible. 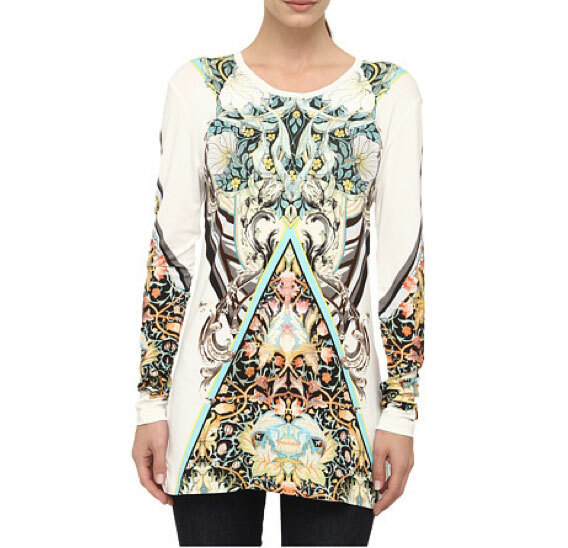 For instance, the Just Cavalli shirt I used as an example in the article just drew my attention straight away for no reason when I first saw it, which lead me to look at it up close and discover all those things in there. Patterns with astrology or other esoteric symbols definitely have a specific draw, which is perhaps why they are so popular too. It’s really disturbing to see how these symbols are massively promoted by the industry. I’ve wondered why would people buy a t-shirt with a skull or an eye on it, looking at these clothes just leaves you with a sickening feeling and a feeling of decay as you put it. Overall it seems decay has been modern and portrayed as ‘cool’ and that makes me sad, because it means that many people don’t want to look for beauty or if they do, they don’t know how to. Thanks for sharing your thoughts, Pavlin. One guess is that wearing these items maybe makes people feel powerful on some level? Like they are a part of some secret occult society (especially since celebrities wear and promote these types of symbols), or perhaps that they are fearless or rebelling against the established order (i.e. not afraid of death, going to hell, the occult, etc. ), or maybe if you have a mild interest in something like astrology or sacred geometry you want to show it off and pick a t-shirt with something related to it not realizing you are actually displaying a sinister version of a symbol, etc.? Those would be some of my guesses. I think people maybe just don’t realize the actual meaning of some of these inverted symbols. 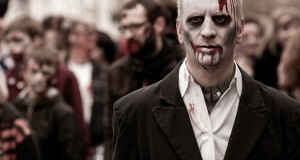 I do agree with you that this overall feeling of decay is pretty prevalent and sad. Pingback: Reclaiming the Spiritual Symbols that Have Been Hijacked and Used Against Us | Earth. We are one. Pingback: Reclaiming the Spiritual Symbols that Have Been Hijacked and Used Against Us | 2012: What's the 'real' truth?